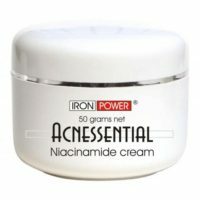 Acnessential Niacinamide cream was initially developed as a dermatologist cream for acne. And while it is an amazing cream for treating your acne, it is also much, much more. 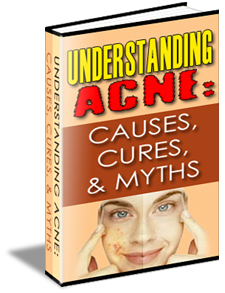 Chances are that people with persistent acne, have other skin conditions as well. They possibly have rosacea, redness, acne scarring, blotchiness, fine lines, wrinkles, and the list goes on. Rather than just treating the acne, this scientifically proven cream treats all of these conditions. One of the key ingredients in Acnessential is the 4% niacinamide. What is niacinamide and how can it help to improve your skin? Niacinamide is derived from a Vitamin B group vitamin — Vitamin B3 (Niacin). Niacinamide can help to reduce fine lines and wrinkles, ease redness and blotchiness, as well as skin sallowness or yellowing, increase elasticity in your skin and erase hyperpigmented spots. In a 2006 article in Dermatologic Surgery published by Donald L. Bissett , PhD, John E. Oblong, PhD, and Cynthia A. Berge, PhD, it was shown that when used as dermatologist cream, topical niacinamide significantly improves the appearance of skin. It does this in many ways, one of which is restoring important moisture to skin, or hydrating the skin. According to a study published in International Journal of Dermatology, niacinamide was found to be more hydrating than even petrolatum — sold as Vaseline and other brands. Some of the other important benefits of Niacinamide dermatologist cream which were shown in many additional scientific studies are skin lightening, which helps with the appearance of acne spots, age spots and hyperpigmentation. In addition, it is an important anti-aging ingredient in skin creams. So what does this mean in regards to the dermatologist cream, Topical Niacinamide? Quite simply, that it is one of best, most comprehensive creams on the market for not only acne — the New York University College of Medicine found it helps 82 out of 100 acne sufferers — but also for many other conditions that plague people. You could buy one product for acne, one product for skin lightening, one product for hydrating, one product for fine lines and wrinkles, one product for rosacea, etc. But why, when scientifically proven Acnessential Niacinamide cream can treat all of those conditions at once? Click here for more info on Acnessential Niacinamide dermatologist cream.